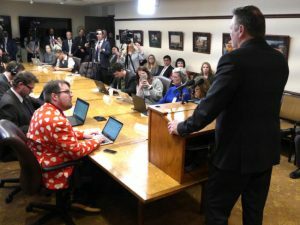 Dunleavy's power to reduce Alaska's budget only goes so far – there are legal and political obstacles that stand between the governor and his goal of a balanced budget. But his power to reduce Alaska’s budget only goes so far – there are legal and political obstacles that stand between the governor and his goal of a balanced budget. Take Medicaid, for example. 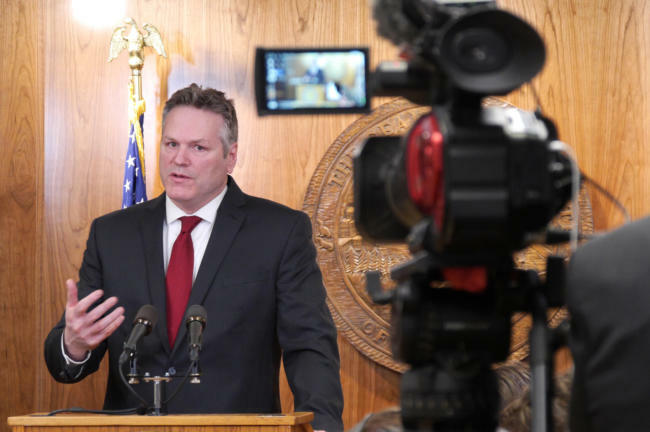 Dunleavy proposed to cut more than $700 million, or about 30 percent, from the state-federal health care program whose 210,000 beneficiaries include low-income Alaskans, pregnant women and people with disabilities. Meanwhile, Dunleavy also proposed to close a huge chunk of Alaska’s $1.6 billion budget gap by boosting state tax revenue. The state would take the revenue – more than $400 million – away from cities and boroughs that collect it through property taxes that they levy on oil and gas infrastructure. KYUK, a regional station in the Southwest Alaska hub town of Bethel, gets about $150,000, or 10 percent of its budget, from the state. Shane Iverson, the station’s manager, said the reduction would equate to two of its 11 positions. Advocates for programs like that were already strategizing about how they can change Dunleavy’s mind, and rally state lawmakers to their defense. “Those are the hopes – that the administration comes to learn how important public media is to Alaska, and at the same time that our Legislature hears from their constituents about how important public media is to their lives and livelihoods,” Iverson said. —Ravenna Koenig contributed reporting from Fairbanks.